Ballard Power's Canadian dream of affordable, pollution-free power suddenly looks feasible after a breakthrough by a Stanford University grad student. As Don Pittis writes, it demonstrates that there is great potential for finding new ways to store and reuse energy. When Canadian fuel cell pioneer Geoffrey Ballard had the idea of "replacing the internal combustion engine — just getting that off the streets," the difficulties seemed overwhelming. But 30 years after Vancouver-based Ballard Power Systems created its first commercial hydrogen fuel cell, a breakthrough at Stanford University may suddenly make the hydrogen-powered car a serious green contender. Elon Musk, whose company produces battery-powered Tesla cars, has called hydrogen fuel cell vehicles a dead end, but automakers like Toyota and Hyundai disagree. 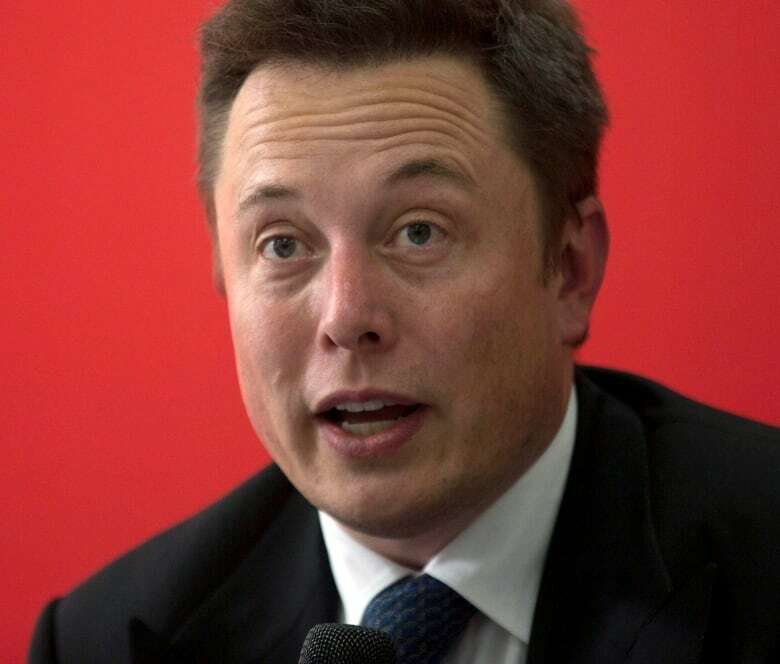 (Ng Han Guan/Associated Press)Elon Musk, whose company Tesla Motors has been a leader in battery-powered cars, has scoffed at his hydrogen-fuelled competitors, calling them silly and implying it was a dead-end technology. But this latest invention out of California may allow hydrogen to give Musk a run for his money. Ballard died in 2008 and the company he founded is less involved in the automotive side of the business, but the the founder's dream has been turned into a reality by others. Hyundai is already leasing its ix35 Fuel Cell SUV. Its hydrogen fuel tanks, developed by Calgary's Dynetek (now owned by a U.S. company), provide a range of nearly 600 kilometres. 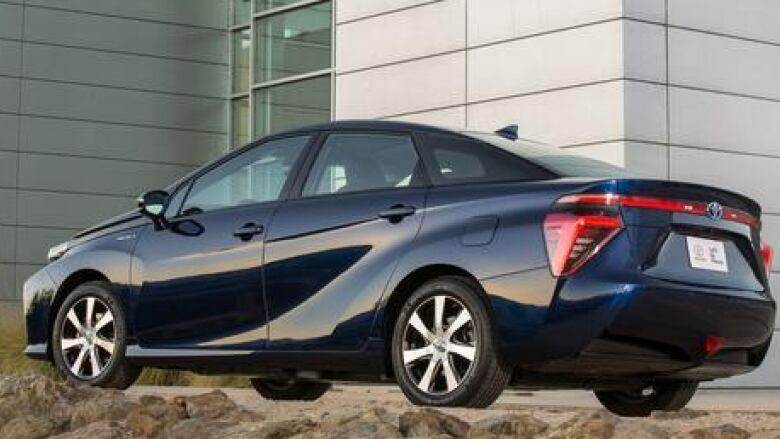 Japanese green-car trailblazer Toyota has its slick-looking Mirai, a hydrogen fuel cell vehicle the company says will refuel in about five minutes. Getting fuel cell cars ready for market has been a struggle, even for an innovator like Toyota, the company famous in green car circles for making the gas-electric hybrid a reality. But fuel cells still have a dirty secret. While burning hydrogen in a fuel cell is perfectly clean, producing nothing but water out of its tailpipe, the fuel it burns is not. That is because almost all commercial hydrogen is produced in an energy-intensive process called "steam reforming," using methane gas from fossil sources. Methane is a potent greenhouse gas. Of course, another way to produce hydrogen has been known for more than a century. Just extract it from water. Every molecule of water, H20, is made of two atoms of hydrogen and one atom of oxygen. Around 1800, two British scientists employed an Italian invention to separate those atoms using electricity. The trouble is electrolysis of water is still too expensive to compete with traditional methane extraction methods. That's partly because the electrolysis method uses exotic material to make the electrodes used to apply the current to the water. Not only that, but those expensive electrodes wear out after only a few hours. But the new research out of Stanford has produced electrodes that appear to have a considerably longer life and are cheaper to produce. The university announced this week that graduate student Ming Gong, leading a group of others, had invented a way to hydrolyze water using an alloy of iron and nickel on both electrode poles. "This is the first time anyone has used non-precious metal catalysts to split water at a voltage that low," says Stanford scientist Hongjie Dai. "It's quite remarkable, because normally you need expensive metals like platinum or iridium." Already in the experimental model, the electrodes work steadily for 200 hours. That compares to 30 hours for the more expensive electrodes used currently. "The electrodes are fairly stable, but they do slowly decay over time," says Gong. "The current device would probably run for days, but weeks or months would be preferable. That goal is achievable based on my most recent results." So far, the new, low-cost process for splitting water into hydrogen and oxygen operates at an "unprecedented" 82% efficiency, says Stanford. That could make using hydrogen to store electricity from intermittent sources like solar and wind, and from hydroelectric surpluses, a rival for expensive battery systems. Once in the form of hydrogen, that energy can be stored indefinitely in tanks near the production source until it is needed. In some ways, hydrogen is much more similar to the energy packed into traditional gasoline. There is always a danger in extrapolating future commercial uses from laboratory experiments. But compared to the days when Ballard Power Systems hesitantly put together its first fuel cells, hydrogen technology's latest backers have some very deep pockets. More than anything, Gong's latest invention demonstrates that green research is a well with deep reserves. And it reminds us that in energy labs around the world, there are plenty more ideas in the pipeline.